GCW Resources / Question / Question of the Day: What are remnants? After all the cuts have been made, the countertop installation complete and the job finished, there may be from time to time left over pieces and scraps commonly referred to as remnants. Depending on the size of the remnants, people find different uses for the left overs. Some people realize that they can add a small bathroom counter. Others use the remnants for fireplace mantles, custom bread boards, coasters or other small creative projects. At GCW we only charge you for the amount of granite used. This means that if you have a project that requires one and half slabs of granite, we will charge you only for the granite used. Many fabricators will charge you for all two slabs. The savings are significant. Since we are one of the largest fabricators in the Southeast, we have many remnants and left over pieces available for sales at very low prices. Many people have small projects that require small pieces of stone but don’t want to incur the cost of buying a whole slab. 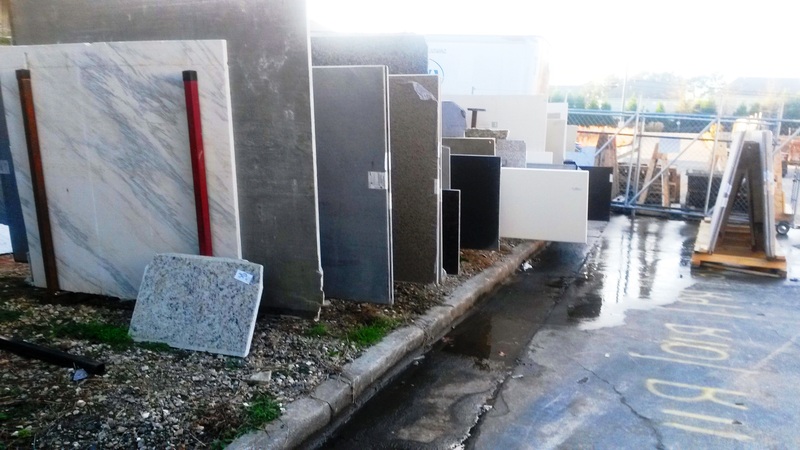 You are very welcome to come and browse the variety of granite remnants and other stone 7 days a week. If you are looking for a particular granite color to match your décor, please call us at 404-592-5599.